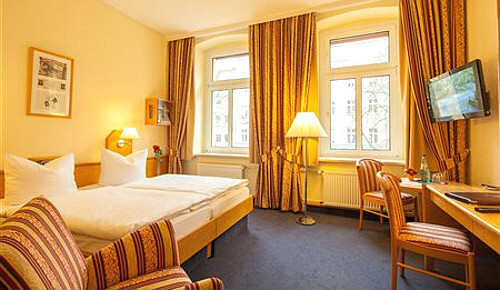 Use the form above to check availability and prices across our entire selection of Berlin accommodation. 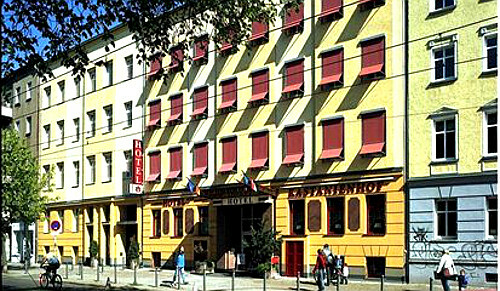 If there are no available rooms at present or if you simply can't find what you are looking for, it may be worth visiting the website later on, since rooms generally become available around 2-3 months in advance. Berlin as a city state is both, country and centre of the metropolitan region Berlin and Brandenburg. Berlin is with its 3.4 million inhabitants the largest city in Germany in terms of both population and area. 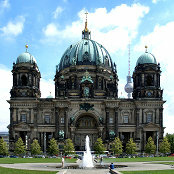 Within the European Union, Berlin it is also the city with the second largest population. It is considered one of the liveliest, exciting and most versatile cities in Europe. The lifestyle, the unique atmosphere – wherever you go, you can feel the buzz on the Boulevards and in the markets. More than 300 bars and 7,000 restaurants are open round the clock. The traditional centre of Berlin is around Alexander square. The famous television tower dominates its skyline and the Kurfuerstendamm is the cultural and trading centre. 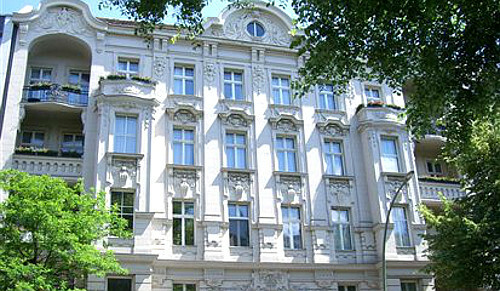 Berlin has got a large number of internationally recognised cultural and scientific institutions. This includes e.g. 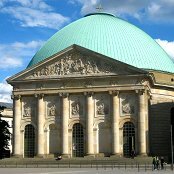 the Pergamon Museum, Egyptian Museum, the Reichstag building and the Brandenburg Gate. Additionally Berlin has a considerable amount of green spaces, like the Tiergarten (zoo), which is in close proximity to the city centre. It is very popular for walks, as well as famous for the annually held Love Parade. Berlin is easily reachable via aeroplane and railway. Berlin has 3 airports, which are linked to all major destinations worldwide: Berlin-Tegel, Berlin-Tempelhof and Berlin-Schoenefeld. Sooner or later Tempelhof will be shut down, but Berlin-Schoenfeld will be extended accordingly. Schoenfeld is connected directly to the city train networks. From airport Tegel you can get a bus into the city centre. Travelling via railway: with the completion of the new Central Railway station, it is even easier getting to Berlin, using the German Railway system. The intercity express train (ICE) provides and hourly connection to many other major cities in Germany. Apart from Berlin Central Station there are other stations, like Ostbahnhof, Friedrichstrasse and Berlin-Zoologischer Garten, which are all connected to a huge number of long-distance trains. At the end of World War I in 1918, a republic was proclaimed in Berlin. In 1920, the Greater Berlin Act incorporated dozens of suburban cities, villages, and estates around Berlin into an expanded city. On 30 January 1933, Adolf Hitler and the Nazi Party came to power. Nazi rule destroyed Berlin's Jewish community, which had numbered 170,000 before 1933. After Kristallnacht in 1938, thousands of the city's Jews were imprisoned in the nearby Sachsenhausen concentration camp or, in early 1943, were shipped to death camps, such as Auschwitz. During World War II, large parts of Berlin were destroyed in the 1943–45 air raids and during the Battle of Berlin. Among the hundreds of thousands who died during the Battle for Berlin, an estimated 125,000 were civilians. After the end of the war in Europe in 1945, Berlin received large numbers of refugees from the Eastern provinces. The victorious powers divided the city into four sectors, analogous to the occupation zones into which Germany was divided. The sectors of the Western Allies (the United States, the United Kingdom and France) formed West Berlin, while the Soviet sector formed East Berlin. The Berlin Wall in 1986, painted on the western side. People crossing the so-called "death strip" on the eastern side were at risk of being shot. The founding of the two German states increased Cold War tensions. West Berlin was surrounded by East German territory and East Germany proclaimed East Berlin (described as "Berlin") as its capital, a move that was not recognized by the western powers. As a result of the political and economical tensions brought on by the Cold War, on 13 August 1961, East Germany began building of the Berlin Wall between East and West Berlin and similar barriers around West Berlin, and events escalated to a tank standoff at Checkpoint Charlie on 27 October 1961. 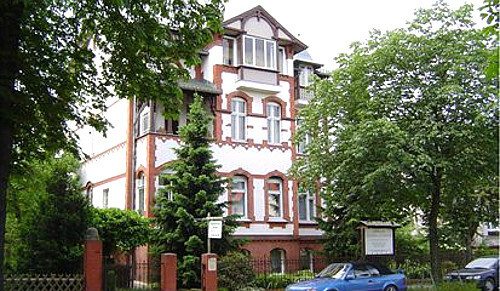 West Berlin was now de facto a part of West Germany with a unique legal status, while East Berlin was de facto a part of East Germany. Berlin was completely divided. Although it was possible for Westerners to pass from one to the other (but only through strictly controlled checkpoints) for most Easterners, travel to West Berlin or West Germany was no longer possible. In 1989, with the end of the Cold War and pressure from the East German population, the Berlin Wall fell on 9 November 1989 and was subsequently mostly demolished, with little of its physical structure remaining today. On 3 October 1990, the two parts of Germany were reunified as the Federal Republic of Germany, and Berlin again became the official German capital.